Special, Monthly Events Listed as well as Classes offered at local studios. Since it is our home based studio, Sign up is required for any Heart Space | Happy Place classes. Click here or text 717-974-4841 (at least 1 hour prior). 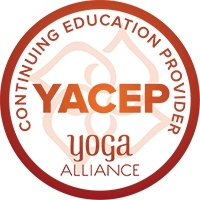 Are you interested in offer Yoga to your employees? Let’s chat! My scheduling software makes it easy for them to sign up online! This means once we make the initial arrangements, you won’t have to do anything else, except experience the increase in productivity and decrease in workplace tension! Healing Sound Bath w/ Quartz, Tibetan bowls and chimes. This is a Journey into Bliss: releasing thought, stress, tension and drifting into a half sleep state of relaxation. It is a journey through the chakra energy system as every crystal bowl resonates on the notes of one of the energy centers of the body. Also, grounding and centering your being utilizing Tibetan Bowls, Chimes and a gentle steel drum. You are invited to rest, unwind and sink in. Allow the vibration of the sound bath instruments transport you to a deep meditative state. No experience is necessary. No physical effort will be needed so this is accessible to all. This is your opportunity to rest, relax, restore, nourish and receive the healing vibrations throughout your physical and energetic body. Sound enhances our self-awareness, it facilitates connecting with the higher self, it promotes self-observation and self-worth, and it increases the state of personal resonance. It brings awareness to the inner processes of the mind: the habitual patterns, the good and bad discursive thinking, the judgment, the filters through which we experience the inner and the outer worlds and realities. It promotes and facilitates the process of inner transformation (a gnostic idea). It is a tool for self-exploration, consciousness expanding, self-maintenance, self-therapy and self-healing. It is a great tool for self-inquiry. It promotes acting with pure intentions, and it facilitates a heightened state of awareness and presence. It promotes an increased state of empathy, compassion and love toward the self and others. It brings awareness to how much the inner reality is connected to, and impacts the outer reality. Experience your own Sound Bath for friends and family in the comfort of your own home or work space! Want to experience a sample, first. Enjoy a simple musical journey through the chakra system (the 7 main energy centers of the body) using the 7 quartz crystal bowls in notes that coorespond to the main chakras + a bonus bowl, intended for the Pineal gland! — Jack - York, Pa.
Last nite was the third time I have tried a yoga class/instructor, and I guess what they say third time is the charm is true. I loved the class. I was able to do about 90 % of the moves, and I am confident that with time and practice I will be able to do it all. I love how you gave modified directions for those difficult poses for those of us not yet able to do the pose. And gave those who are more experienced ways to deepen the poses. I could not believe how fast the time went either. You are an awesome instructor. My greatest concern was to achieve more flexibility. I had constant aching from osteoarthritis in my right hip, which I no longer have due to yoga with Heather! With every class there is definite stress relief and I walk out totally relaxed. — Beth S - Columbia, Pa. This class creates deep relaxation while increasing mobility, flexibility and strength - without straining the muscles and joints. Often body aches and pain begin to disappear after only a few weeks of practicing. All levels are welcome in this calming, laid-back practice. If you have a busy or anxious mind, stressful life or job and you know you need a way to slow down, this practice is for you - Give your body a chance to rest and heal with Restorative! A restorative yoga session, typically involves four to six poses (asanas), supported by props, with zero effort or strain, allowing you to completely relax and rest. You will experience a blend of light twists, seated forward folds, gentle backbends and each asana is held for 5 minutes or more. Yin yoga is a slow-paced style of yoga with postures, or asanas, that are held for longer periods of time—for beginners, it may range from 45 seconds to two minutes; more advanced practitioners may stay in one asana from five minutes to twenty five minutes. This may sound similar to restorative yet how it differs is thatYin Yoga targets the connective tissues, such as the ligaments, bones, and even the joints of the body, generally of the hips, pelvis, and lower spine. Opposite of Restorative, there is effort and sometimes strong sensations with holding a Yin pose. To some, Restorative and Yin yoga can sound boring, passive, or soft, when actually the yin practice can be quite challenging due to the long duration of the poses. If you gently stretch connective tissue by holding a yin pose for a long time, the body will respond by making it a little longer and stronger - which is exactly what you want! These parts of the body not exercised very much in our typical active style of asana practice. When deep healing and relaxation is needed and you would like to be guided there - Yoga Nidra is a beautiful practice to explore. Yoga Nidra is the science of deep relaxation. Yoga means “union.” Nidra means “sleep.” Yoga Nidra is a state between sleep and deep relaxation. It is a systematic method of inducing deep physical, mental, and emotional relaxation. The practice is done while lying down on one’s back. The eyes are closed and the body made completely comfortable. It involves deep relaxation with inner awareness while I lead a guided “meditation” session. I will use auto-suggestion cues, visualization, and affirmation to create an environment in which healing can occur. Yoga Nidra cultivates profound quiet, deep relaxation and inner stillness. This practice has many benefits on the physical, mental and spiritual level. It is now being used in treatment for anxiety, PTSD, trauma, depression, etc.